Throughout our younger years, we moved all over the world and enjoyed our careers in business management. When it came time to retire, we decided to buy a ranch. Johnnie B always loved looking at longhorns and he just wanted 1 or 2 to sit in the pasture and look pretty. Our ranch hand convinced us that he had found the perfect longhorns from a very nice lady and the truck was delivering 7 heifers in a couple of hours. They were all around 6 months old and we were very happy with the start of our herd. 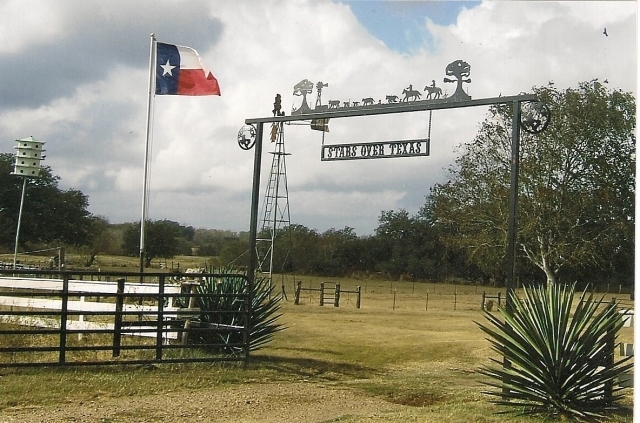 It also turned out this was a very well established and accomplished ranch, Kimble Cattle Company, Dr. Joyce Kimble. Our herd has grown and we love our longhorns. Our most recent herd sire has produced some beautiful babies that are sure to please. Enjoy our website and contact us with any questions you may have.